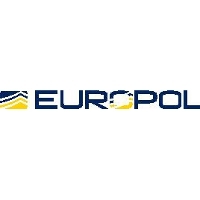 From 19 to 22 March, the Polish National Police, the European Cybercrime Centre (EC3) at Europol, and eBay, joined forces to successfully dismantle a criminal group responsible for a spate of sophisticated online auction frauds across Europe and beyond. Hundreds of victims from at least 15 countries including Poland, Belgium, France, Germany, Italy, Latvia, Netherlands, Spain, UK, USA, Canada and India, were potentially affected by the scam, involving the fictitious sale of electronic items via online auctions hosted on eBay and other online Polish platforms. After making electronic payments for goods such as Apple Mac computers, customers were instead sent items such as bricks, fruit and vegetables. In the case of eBay customers, nothing at all was sent. Once electronic funds were received by the fraudsters, they were transferred to unregistered pre-paid cards and cash was withdrawn via ATMs. Customers shopping on eBay are protected by a Money Back Guarantee but the fraud exposure would otherwise have amounted to tens of thousands of euros since 2013. Despite the criminals’ sophisticated attempts to mask their online identities and activities, using an intelligence-led approach, Police from Lubin and Pulawy in Poland, alongside EC3 cyber experts and eBay representatives, carried out a series of strikes against the group. Two key suspects were arrested in Pulawy while attempting to withdraw fraudulently obtained cash from an ATM. Subsequent house searches led to the seizure of items including anonymous pre-paid cards, cars, laptops, mobile phones. EC3 cyber experts assisted Polish law enforcement authorities by providing on-the-spot expertise and real time access to Europol’s databases. eBay also supported the case from their Dublin operations centre by assisting police to trace criminal online activity via live monitoring systems. “This successful case is a perfect example of very effective cooperation between eBay, the Polish National Police and the EC3 in a crime that affected victims from more than 15 countries on three continents. By working together, sharing information and coordinating this investigation in multiple jurisdictions we have proven that the criminals might be able to run but they can’t hide. Together with eBay and other companies operating online, and the hard-working cybercrime experts in the EU Member States and abroad, we will continue to optimise our investigative methods and put more criminals behind bars,” said Troels Oerting, Head of the European Cybercrime Centre (EC3) at Europol. EC3 would like to praise the Polish police investigators and technical staff at eBay for their dedication and professionalism displayed during the execution of this operation. The success of this operation will undoubtedly impact citizens across Europe and beyond as they see yet another organised criminal group removed from the rapidly expanding e-commerce sector. It also provides a warning to those engaged in online fraud – with such a significant increase in international multi-agency cooperation, anonymity for criminals on the Internet is fast becoming a thing of the past.